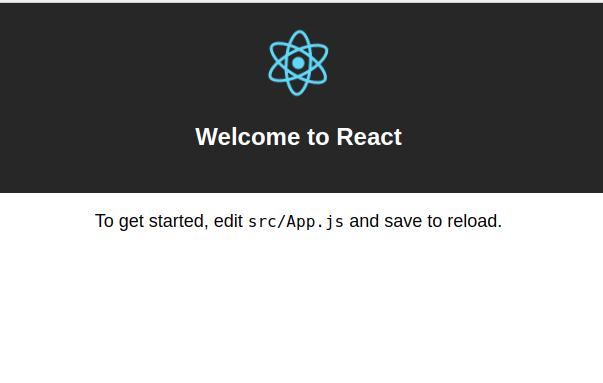 So, you want get your react app multilingual the easiest way possible and still use create-react-app , I will be sharing my recipe for this in this article .. I hope you will enjoy it :). There are a bunch of I18n libraries for react, the one is we are going to use is react-intl , why? 1- This one is a babel plugin that automatically detects translation text and extract it to .json file. 2- this tool helps creating translations files for each language and let you know about the status of your translations. So, Enough with the talk and lets start writing code …. So, what’s our goal here? We need to translate the content of this page into two languages at least. Add a language selector to the page. So, what does defineMessages do? It enables https://github.com/yahoo/babel-plugin-react-intl to pick up the messages defined in the object passed to it and extract it to json file to be used later. All that remains now is to setup the tools for creating the translation json file and add the switch language button. 4 — Now we let the magic happen… we will create separate json file for every language. This will create this file src/i18n/messages/messages.json with content of every `defineMessages` method. Now we are ready to start to do some translations! 5 — Hook up translations to IntlProvider in AppWrapper component and enable switching languages. Now we have our create-react-app multilingual. 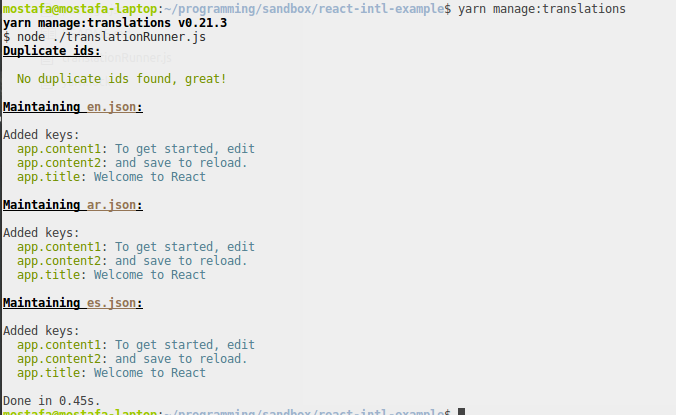 And this is how you implement I18n in create-react-app the easy way.